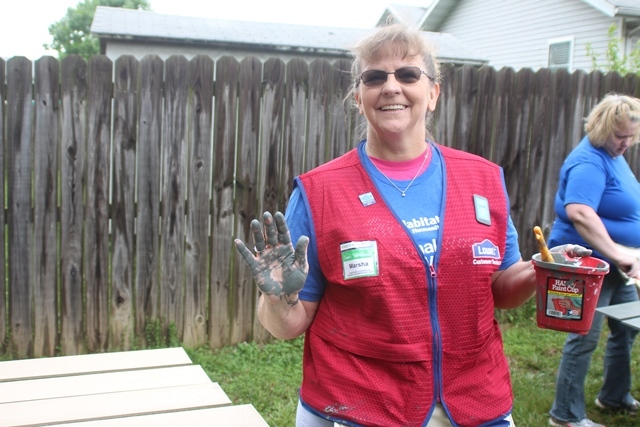 Habitat for Humanity ’s National Women Build Week is a weeklong event created by Habitat’s Women Build program and invites women to devote at least one day to help families build strength, stability and independence through housing. The week is meant to spotlight the homeownership challenges faced by women. Though our neighborhoods are comprised largely of women and children, they are also the population’s most likely to be affected by poor living conditions. Our program provide the opportunity for women to take a proactive step in serving their communities. Habitat’s program is a terrific way to involve your friends and family of all ages in crucial work with a lasting impact. Women helping women sends a positive and powerful message. Support our next year’s project by volunteering or making a donation. Habitat’s Women Build program empowers women to help families build strength, stability, and independence. Your support of Habitat’s Women Build program is crucial to make a lasting impact, sending a powerful and positive message to those women supported by this special program.